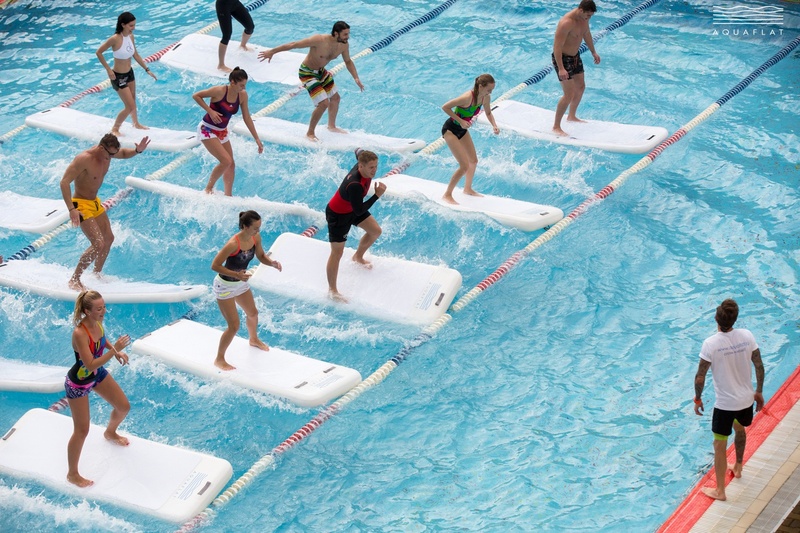 Brand-new training on inflatable floats, which you have never experienced. 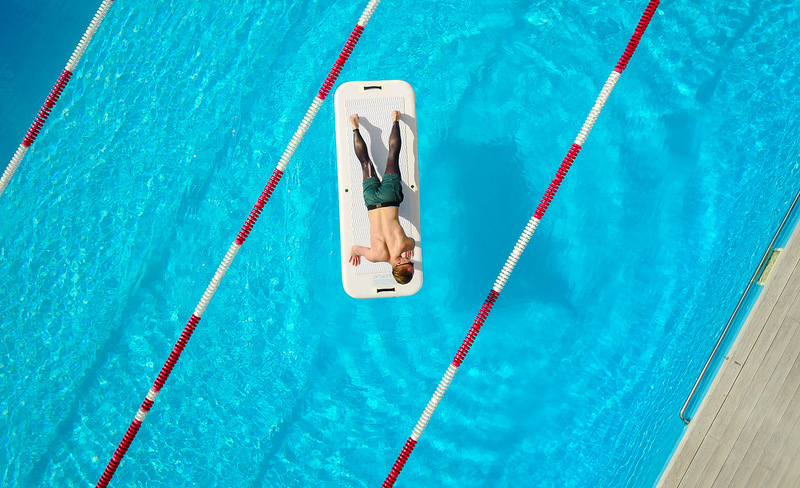 Talented fitness experts, marketers, technologists, designers and master trainers have created a premium product, ready to launch in your pool. #AQUAFLAT is an inflatable float that is made of a high-strength synthetic fabric with double- sided PVC sheeting. The working surface of the product is covered with soft material that prevents from sliding even in water. #AQUAFLAT is a business innovation which begins to bring returns right after implementation and is paid off in the short term. Training programs is a good tool to increase sales of fitness department and to improve appeal to customers. #AQUAFLAT is the driving force of your business! AQUAFLAT™ is usually introduced as a training for an extra charge. You will be able to increase significantly the revenue from group and personal workouts during the first 1.5-2 months. 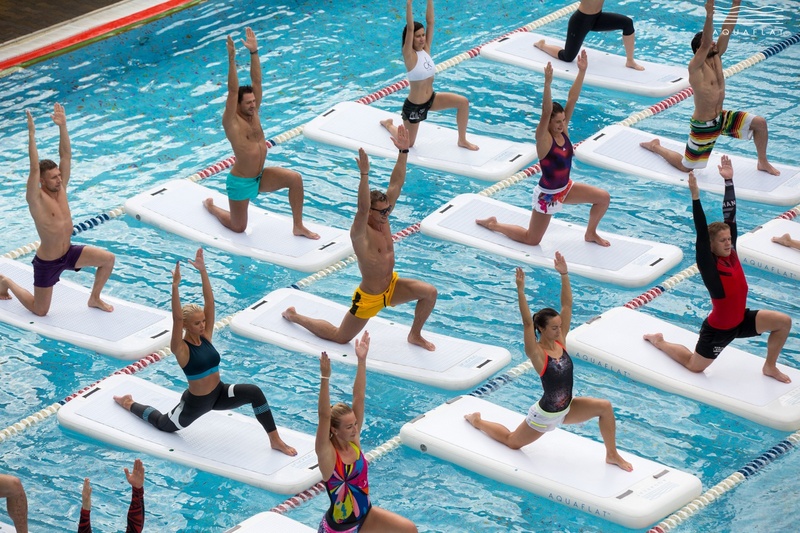 Fitness on rafts is a trend in the world of fitness! The presence of AQUAFLAT™ in the club is an indicator of success and prosperity. The privilege of leaders is to introduce interesting and unusual novelties that exceed the desires of customers. Order #Aquaflat custom design to turn any photo from a raft training into an advertising tool that you will not pay for. Email us now and we will design your own raft layout for free. Three #Aquaflat programs for children and adults are developed by qualified trainers, professional athletes and rehabilitation doctors. You will receive ready-made marketing tools and promotional materials for quick launch and promotion. You will receive clear recommendations on the format of AQUAFLAT™ launch events as a marketing plan. Your marketers can develop strategies, immediately begin to announce and launch advertising and PR-activity. which you have never experienced.